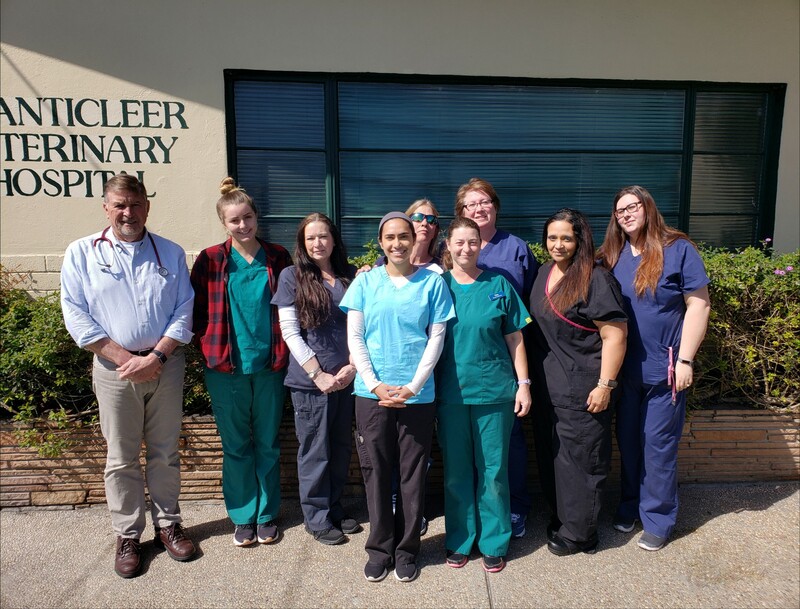 Meet the Veterinarians & Team of Chanticleer Veterinary Hospital in Santa Cruz, CA! We’re pleased to provide exceptional vet care for your pets! Please call us at 831-475-1479 to speak to one of our caring veterinary staff members! Dr. Clay was born and raised in Southern California. He graduated from UC Davis with a BS in Biological Sciences in 1970 and from the School of Veterinary Medicine at UC Davis in 1975. After working at the Santa Cruz Veterinary Hospital for 10 years, he opened the Chanticleer Veterinary Hospital in 1985. 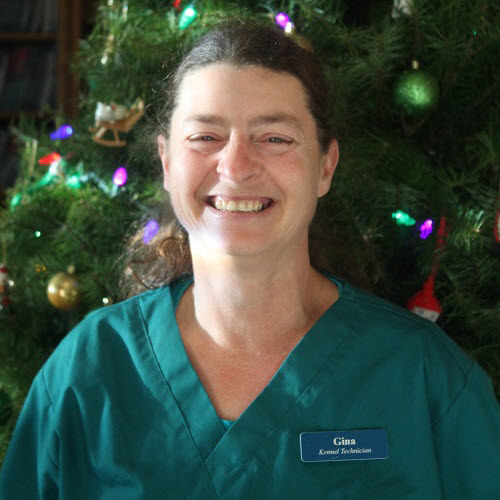 Additionally, Dr. Clay has been the staff veterinarian for the Santa Cruz SPCA since 2000. His outside interests include fishing and golf and all sports–especially baseball. He is married, with two adult children and two grandchildren. Dr. Shull was born and raised in Santa Cruz and is so happy to be practicing Veterinary Medicine in her beloved home town! She graduated from UC Davis with a BS in Animal Science and received her veterinary degree also from the School of Veterinary Medicine at UC Davis. She is a lifetime animal lover and has 2 pets: Roxy the cat and Lola the big eared dog. Outside of work, she enjoys playing with her animals, attempting to teach Lola tricks, taking walks/runs on West Cliff, practicing yoga, and whipping up yummy meals in her kitchen. Amee was born and raised in Santa Cruz. After living in both Georgia and Washington state for several years, she is happy to be back in her hometown. She has extensive experience working with shelter and rescue animals, specializing in feline and exotic patients. Amee is excited to take on her role as Practice Manager and hopes to help keep the hospital running smoothly. She currently resides in Campbell with her husband and 2 cats, Evie Shade and Sassafras. Mary grew up in Almaden Valley and is a California native. She has been working for 15 years in the veterinary field. Her interests are animal behavior, neonates and nutrition. Mary lives with her husband, 2 dogs, 2 cats and a 75 gallon fish tank. Susan has lived in the Santa Cruz area for over 40 years. 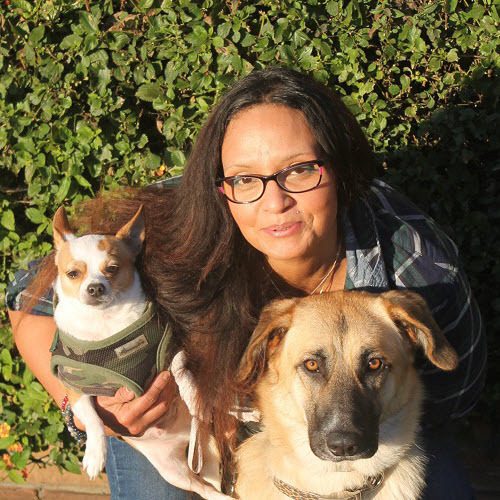 She has always felt a connection with animals of all types and went into the veterinary medical field to help them. 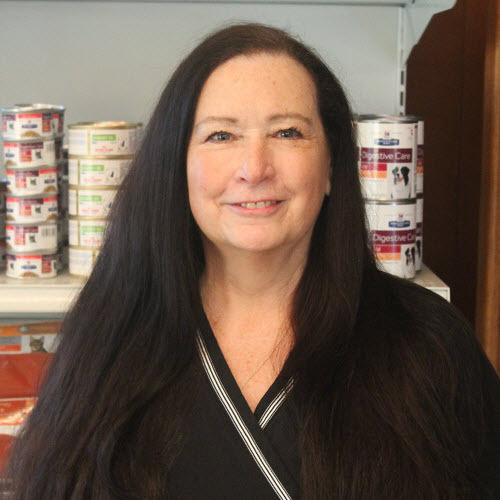 With over 35 years experience working with cats, dogs, exotics, and emergency veterinary medicine, we are glad she is a part of the Chanticleer team!. She currently has one cat, Baggins, who she raised from birth. 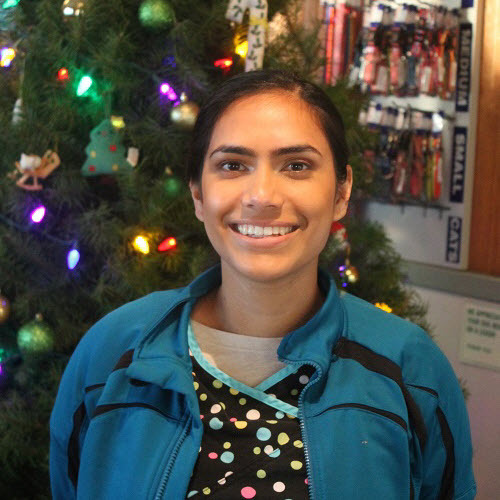 Navreen is a recent graduate of UC Santa Cruz where she obtained a degree in biology. She is interested in pursuing a career as a veterinarian, and has joined the Chanticleer family as a stepping stone to that goal! She has a passion for all creatures, big and small, and loves taking care of the patients that come in every day. Shawn has been the head kennel tech at CVH since 1990. She is dedicated to the care of every pet that comes into the hospital. Shawn is the proud mother of three grown boys. She lives in Santa Cruz with her twin sister Renee and her little dog Snickers! Gina has been with us at CVH since 2012. She has adds smiles to everyones faces and keeps people laughing on the long days. Gina loves to spoil all the pets that stay at the hospital. Jo has been in the veterinary field for over 20 years and we are excited to have her join the Chanticleer family! When she is not helping out clients at the front desk, you might find her relaxing on the beaches of Hawaii. She shares her home with her husband, Wayne, their two dogs, Ellie and Raji, two kitties, Izi and Morle, and a parrot named Buddy. Her favorite thing to do is snuggle with her animals. Tricia was born and raised in Santa Cruz County. Her love of animals has led her to pursue the veterinary field, and we feel so lucky to have her join our team! She greets everyone with a smile, and treats each patient as if they were her own. She has two adult sons and two dogs, an Anatolian Shepard named Butter and a Chihuahua named Chico. In her free time she enjoys Zumba, Jiu Jitsu, and arts and crafts.